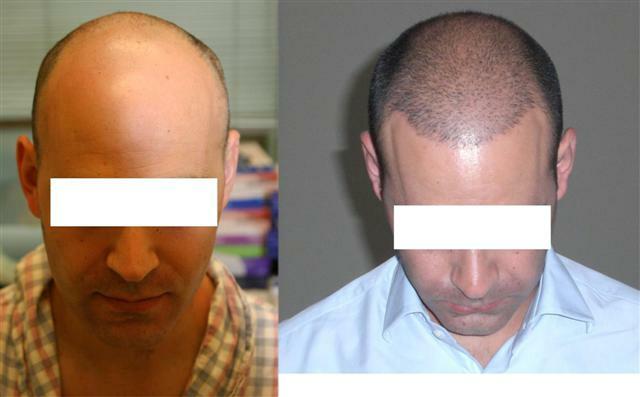 The patient below had 5,000 FUE grafts to restore his entire head of hair from a Norwaood 5. 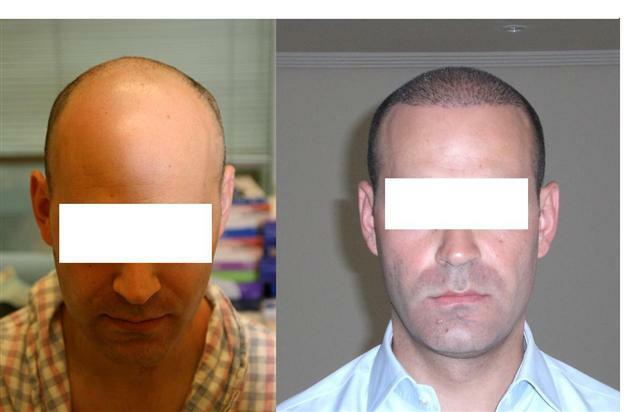 This is a great example of what a Fue Megasession can accomplish.The patient is very happy with his result. Those before and after pics are great. It is amazing what the talent of Armani can do. The patient looks like a completely different person. There is no doubt the patient is satisified anyone would be with those results. Great results - Maybe one day,I’ll do it,why wait for HM = DOH! » accomplish.The patient is very happy with his result. Looks great, especially considering how much hair he had lost. Is the final pics at 18 months or more? Makes me happy I went with fue when I see results like this. This has to be the first time I see a megasession fue from Armani, looks pretty good, my hair loss is very similar to this guy, I will email my pictures to Hairsite to post this weekend. That looks amazing, great results. I here there is much less swelling with the FUE and the healing process is much quicker. I am excited to get my procedure done in December. That does look amazing. NYC_Aarmani1, where are you having your procedure done in December? Pats205, how are your FUE results coming along? We haven’t seen an update since June, please advise. TOP NOTCH ! how old is he? A better overhead pre shot would be nice…and maybe some shots from the back? I’d be curious to see what it looks like grown out…often when shaved down it looks fuller than when grown out. I second the last two posters though. Some behind shots please ! This looks great and runs against all conventional wisdom in the FUE field. Armani has moved to FUE and within a short time he is doing what others are consistently failing at. For this reason, I think that a few questions absolutely should be answered to gain confidence in the validity of the result. 1: There are at least 180cm2 to be covered by 5000 grafts. This gives a density of less than 30/cm2 but the results give an impression of much greater density. Why is this? 2: His donor area (size and density) does not look great. Most other surgeons are not IN PRACTICE!!! able to transplant this many grafts by FUE without causing donor area problems unless other donor sources are used. What was his donor density and area? 3: Was it a single session? Are there any intra-operative / early post operative pics that show the area used and transplanted as this would really put the result in context. Assuming this is a valid result then Armani has become to FUE what H&W are to strip. I have not seen Woods Cole Arvind Basinger or any others produce this kind of result from Scalp FUE. » This looks great and runs against all conventional wisdom in the FUE field. » greater density. Why is this? » without causing donor area problems unless other donor sources are used. » What was his donor density and area? » really put the result in context. » this kind of result from Scalp FUE. I agree with everything you said except that i am not so sure how pristine the donor is at this point. What size intrument does Armani use? the results are unrealistically good. i have had 5000grafts already and the results are far from what we see here. pics from the back. why do they never provide such pics? I’m not saying the guy doesn’t have every right to spend his money any way he wants, obviously. More power to him! But, that’s a lot of money to the average guy! I mean, what’s the median yearly income in the US, around $50,000? Still, if you’ve got the money to spare, this shows you can get a good result. But, no better than Umar or Cole, in my opinion, and they are much less expensive (closer to $50,000 for the 5000 grafts, which is still absurdly expensive!). How much do you think this should cost and where can I get that done? I would be VERY surprised if he paid even half of that!